Labour has published an election manifesto that includes pledges on social care and welfare reform, but offers few new policies on disability rights. The manifesto says Labour is the “party of equality” and that that “no person should suffer discrimination or a lack of opportunity”. But it warns that, with the exception of the “protected” areas of health, education and international development, “there will be cuts in spending” under a Labour government. It promises reform of the work capability assessment (WCA), the test introduced by the last Labour government in 2008 to assess eligibility for employment and support allowance (ESA), with a new focus on the “support disabled people need to get into work”, and a new independent scrutiny group of disabled people set up to monitor the WCA. There will also be a new specialist support programme “to ensure that disabled people who can work get more tailored help”. And Labour promises to abolish the “bedroom tax”, which it says is “cruel”, with two-thirds of those affected by cuts in housing benefit being disabled people or families with a disabled member. The manifesto also promises that a Labour government would abolish the employment tribunal fee system introduced by the coalition, improve training for teachers on working with disabled children, and strengthen the law on disability, homophobic, and transphobic hate crime. Since 2010, it warns, billions of pounds have been cut from adult social care budgets, which it says has left “300,000 fewer older people getting vital care services, at the same time as the number of older people in need of care is increasing”. As with the Conservatives, the Greens, the Liberal Democrats and UKIP, Labour promises to integrate the health and social care systems, while also focusing on mental health. The manifesto says that “vulnerable older people, disabled people and those with complex needs will be helped to have more control of their lives”, with the entitlement to a personal care plan, the option of a personal budget “where appropriate”, and a single named person to coordinate their care, as well as “better information and advice on managing their condition”. It also pledges to end time-limited, 15-minute social care visits, introducing instead “year-of-care budgets” that would cover all of a person’s physical, mental health and social care needs and improve care in people’s own homes, and recruiting 5,000 new home-care workers – under the control of the NHS – to “help care for those with the greatest needs at home”. A separate health and care manifesto promises to do more to ensure that people with mental health problems, learning difficulties and autism “enjoy the same rights as anyone else”, with “meaningful progress” for these groups a priority. It also promises to consult on a new offence of corporate neglect for directors of care homes, which could mean a prison sentence if they neglect or are involved in abuse of people in their care. Disability News Service contacted disabled Labour candidates Emily Brothers and Mary Griffiths-Clarke for their views on the manifesto, but they failed to respond. 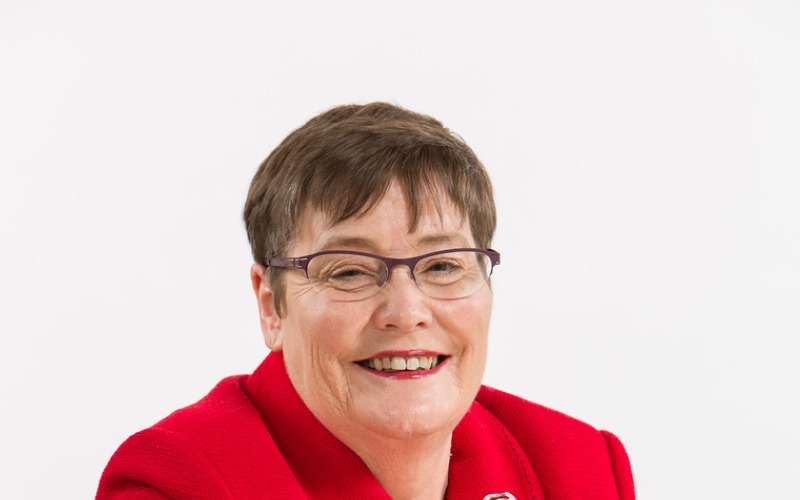 But Dame Anne Begg (pictured), the disabled Labour candidate standing in Aberdeen South, was able to comment, although the Scottish Labour manifesto had not yet been published. She said Labour’s promise to strengthen the law on disability hate crime was “very welcome”, as was the section on supporting disabled people to live independently, including the abolition of the bedroom tax. She said: “There is also a promise to set up an independent scrutiny group of disabled people to look at how the WCA could be reformed. “I would like any Labour government to go further on this, as I think a fundamental rethink [of the WCA]is required and so would hope any scrutiny group would have a role in this. “I am also glad there is an acknowledgement that there needs to be a specialist programme to give tailored help to disabled people seeking work.